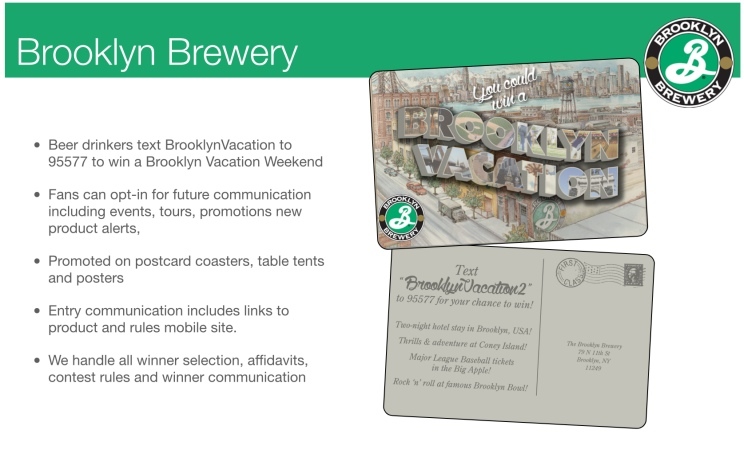 Brooklyn Brewery wanted to engage customers using by incorporating a Text-2-Win contest into on premise POS used in bars and restaurants. Participants could opt in by quickly texting a keyword to a mobile short code entering them into the contest. Fans could also opt in for future contests and communications via text message marketing. ApolloBravo handled consultation on campaign copy, contest rules, winner selection and affidavits.